After the completion of a successful divisional meet in Chittagong, Young Bangla hosted its second Divisional Meet on Januray 31, 2015, at M.C College Hostel field, Sylhet. 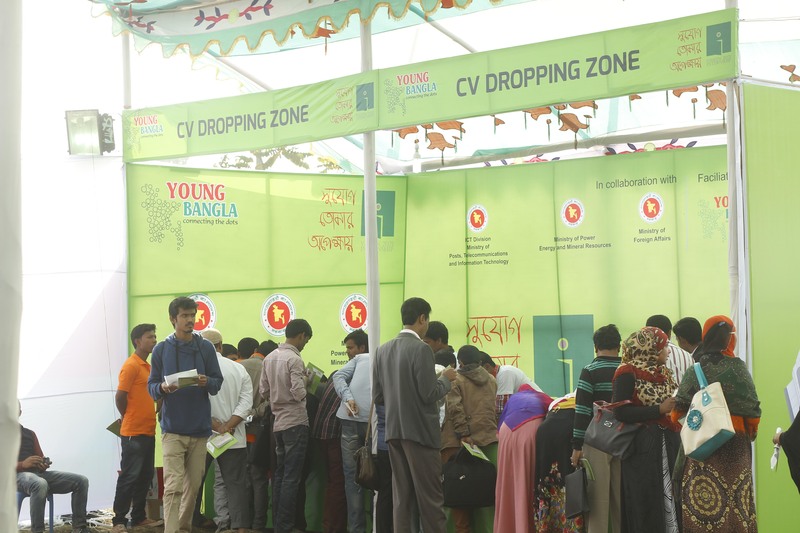 In search of the real achievers of our nation, Young Bangla continues its legacy of screening out the root level entrepreneurs, innovators, social workers. 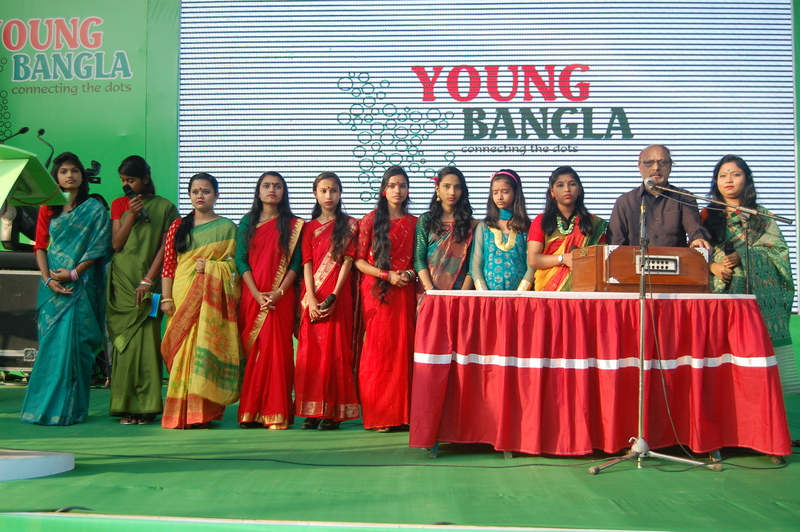 One of the ongoing initiatives of Young Bangla is to recognize these good works which they are doing for their development as well as for the development of our country. 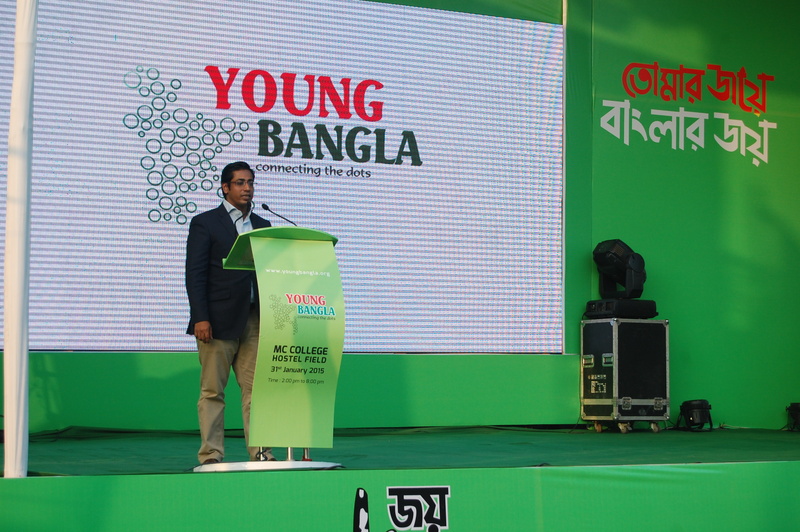 Young Bangla is a platform initiated by Centre for Research and Information (CRI) and other convening organizations that aims towards integrating the youth from different parts of Bangladesh and involve them into the national development process, Vision 2021. It also intends to establish as a networking hub for young achievers, entrepreneurs, social contributors, initiators to maximize their true potentials. Around 168 success stories were submitted on spot which eventually will be acknowledged on 7th March 2015 in coordination with JCT TOYP. The success stories were screened by the representatives of JCI (Junior Chambers of International) based on the outstanding contribution in the society. 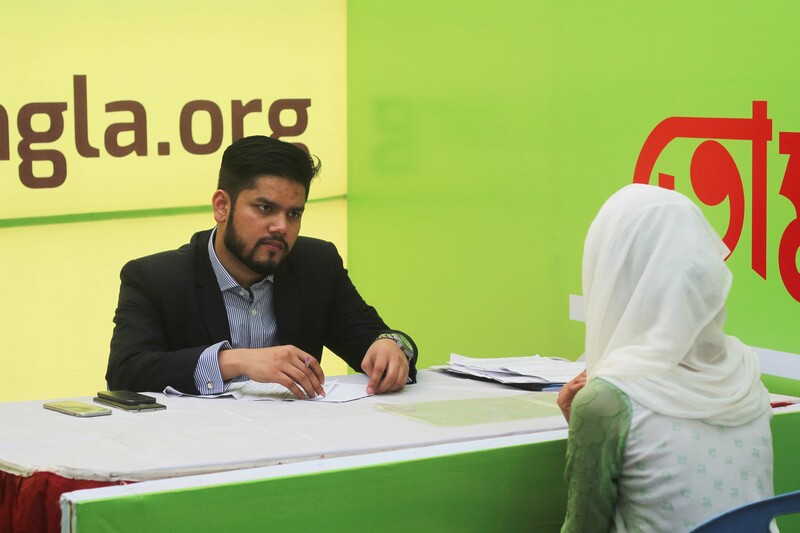 About 115 CVs for internship were dropped which will be sent to the Ministry of Power Energy and Mineral Resources; ICT Division of Ministry of Post, Telecommunications and Information Technology and Ministry of Foreign Affairs. 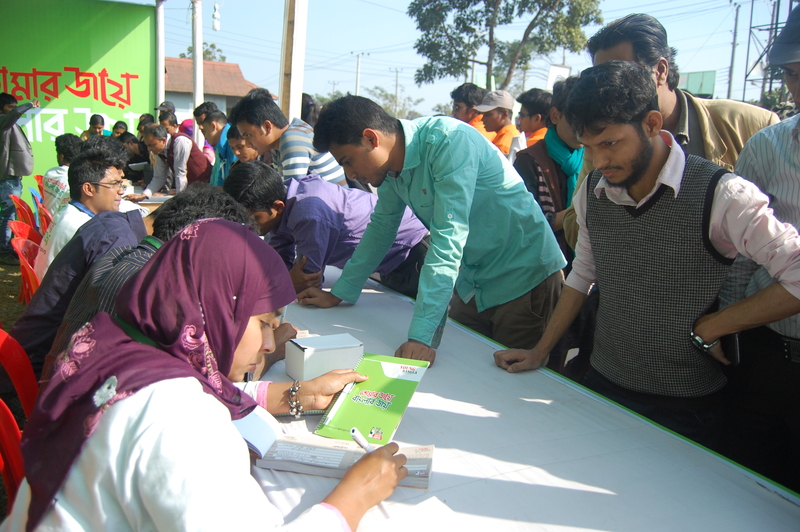 The first segment of the event was mainly registration process which was started at 2 pm and continued till 5 pm. The participants were consisted with the ratio forty-sixty respectively between female and male and average age is among 18-40. The venue was overflowed with the different segment of people. Young people were coming forward with their stories and innovative ideas. The number of participants was growing over time. Each booth was filled with enthusiastic participants. Local people were enjoying in participating in such a large scale program for the first time ever. Participants were seen from different background like rich to root level. 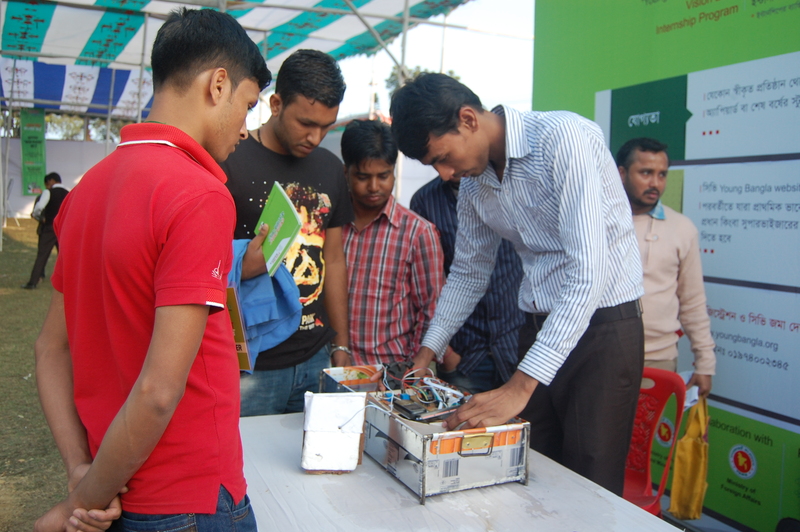 More over participants from different districts of Sylhet were present in the program. The event started at 2pm and ended at 8pm. 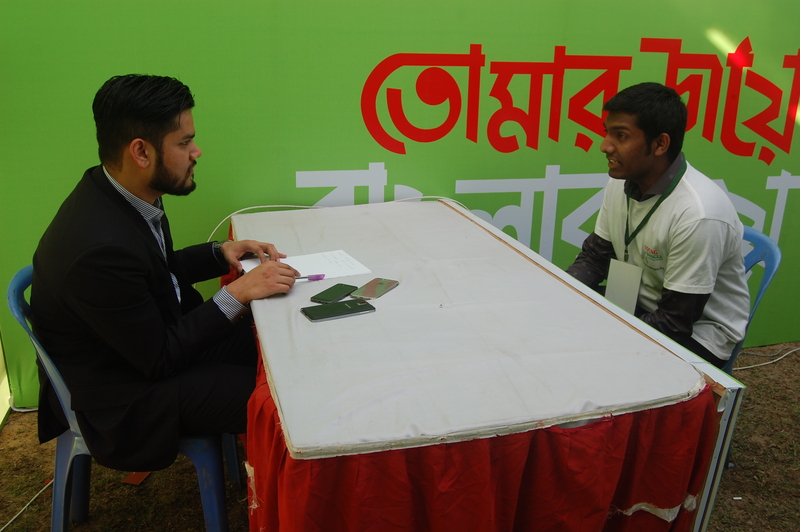 Near about 1500 very enthusiastic youth representative of different root level workers, different organization member’s, entrepreneurs, innovators and youth activists of different districts and Upazillas of Sylhet participated in this event. There was open Discussion, Divisional Level Innovation Showcasing and Sharing Success Stories with the crowed. Some audio-visual presentation was shown by the student organizations like Kin, and Mrittika and SUDS. Finally, the event was concluded with performance by Banglar Baul form shunamganj, local band Nongar and Old School from Dhaka.